Bronze monument created by Sam Philipe is a monument to be erected on Mt. 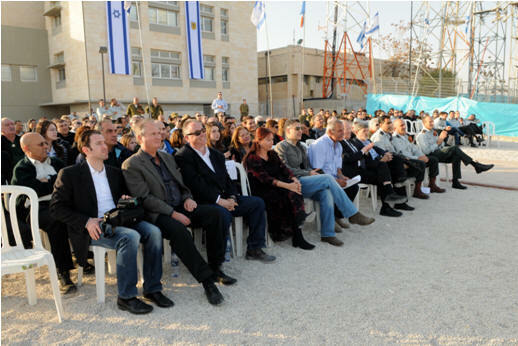 Scopus in Jerusalem. Erected December 20, 2011. 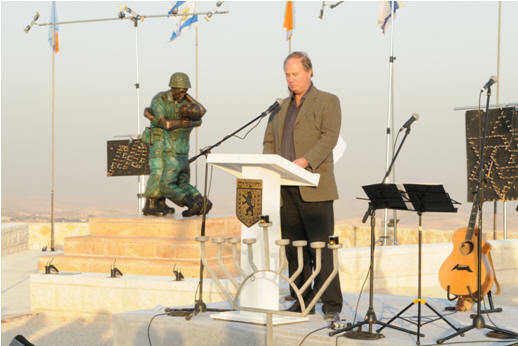 Made possible with the generosity of Mr. Richard Kandel and Mr. Jonathan Kandel, Elliot and Karen Hershberg, Theodore and Ruth Mirvis, Bernard Turner and Joyce and Matthews Calvin , Pave the Way Foundation salutes the artistic effort of famed Israeli Sculptor Mr. Sam Philipe in creating this moving tribute to those who protect the Jewish homeland and to those who have made the ultimate sacrifice. Director of Pave the Way Foundation and project sponsor, Mr. Richard Kandel delivers his opening remarks. Sam Philipe. 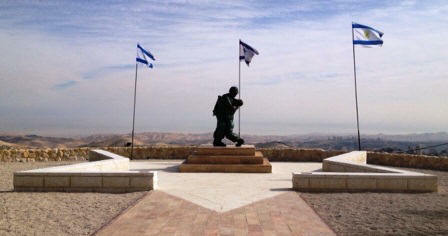 PTWF director in Israel, builds this important monument. You are here: Home Projects Charity & Commemoration "The Camaraderie in Arms Statue"